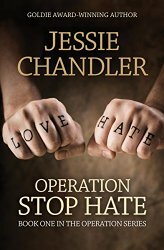 When I heard about Jessie Chandler‘s new book, Operation Stop Hate, I immediately hoped I could convince her to stop by BOLO Books to tell us a bit more about the inspiration behind this topical tale. Thankfully for all of us, Jessie agreed and is here today to explain how timely her novel really is – and how much humankind still has to learn about embracing our differences. Last month when I released my latest book, Operation Stop Hate, I had no idea it was going to roughly coincide with a history-denting dust up. The smackdown between Indiana state law makers and many of their constituents, a host of big (yeah, I’m talking BIG here) businesses—including the NCAA, Apple, Subaru, Gen Con (the largest gamer’s convention in North America)—and even the Protestant Disciples of Christ (headquartered in Indianapolis) was on. The big story was about the Religious Freedom Restoration Act. I won’t spend time here going into the specifics, but suffice it to say that there are plenty of ways bills like these can and will be used to discriminate, and effectively legislate the approval of hate. And it affects not only the LGBT population. According to the Human Rights Campaign, there have been a number of cases involving individual business owners and individuals invoking these laws as a way to circumvent giving assistance or services to certain people or groups. A New Mexican photographer cited a religious freedom objection to photographing a lesbian couple. In Salt Lake City, a cop cited “religious liberty” when he refused duty at a gay pride parade. In Oklahoma, another police officer objected, under religious concerns, to patrolling a mosque. My new book, Operation Stop Hate, takes on a school shooting that leads to a hate group distributing music on school grounds in an attempt to recruit kids. Special Agent Cailin McKenna, herself a lesbian, infiltrates the group, and learns that not only is the LGBT population targeted for hate, but also Jews, Muslims, Mexicans, Asians, African Americans…anyone who wasn’t whatever the group’s definition of “pure” is. I initially wrote this book in 2003, and when I opened the file last year to see if the story was worth salvaging, I was shocked by how little progress this country has made when it comes to civil rights. The mistakes of the past are alive and well. While the LGBT population has seen a huge turnaround in federal and many state rights, there are plenty of people who still fight tooth and nail against that. Racial equality has come a ways, but not nearly far enough. Religious equality is the same. Do you sit back and let what happens happen without a thought? Or do you do something to stand up for what is right and fight against what is wrong? A single voice will eventually join with other voices until critical mass in achieved and change happens. We have seen it happen, and it will happen again. So the question is this: do you lend your voice to help attempt to stop hate in whatever form it takes, or do you sit back and turn a blind eye to reality? 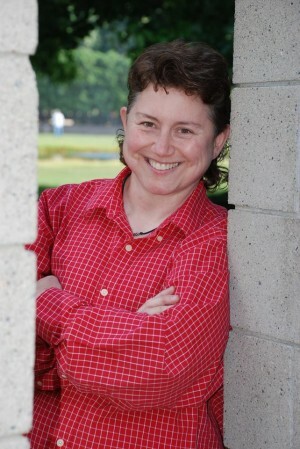 I think that we can all agree that Jessie Chandler should be commended for pushing back against an ideology that has the potential to alter the civil rights of countless citizens of the United States. Operation Stop Hate is a story that needs to be told – and more importantly, it’s a story that needs to be heard. And – I’m lucky enough to have read an early copy – it’s a gripping crime novel too! 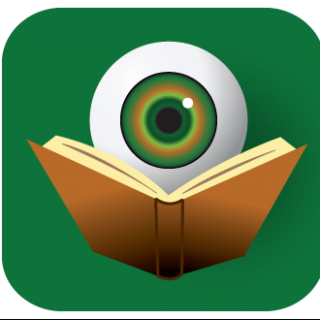 Thank you, Kristopher for hosting your excellent blog, and reviewing crime novels. Catriona, thank you for popping over and giving a shout out! Thank you, Catriona, for popping in to say hello! Thank you so much for your encouragement and support!